The governing body of association football is playing a defencive role in Switzerland. It relates to FIFA transfer rules for minors. FIFA TRANSFER BAN: The lawsuit has already landed in a Zurich court. A legal action challenges FIFA regulations banning transfers of football players under 18. A Zurich law firm filed the case at the Zurich Commercial Court. They filed it on behalf of a 17-year-old African player and his parents. 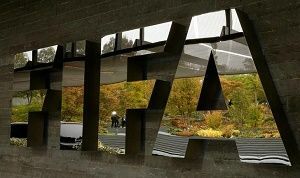 The African family say FIFA Football rules and regulations on international transfers are unlawful. In particular, FIFA bans under-age footballers from transferring abroad - with few exceptions. A spokesman at the law firm produced a statement stating that the player had already represented his country at youth level. But, he gets restricted on a move to European Union football club because of FIFA rules on the transfer of minors. The family claim he may miss the opportunity of professional and social advancement in the game. The child's parents have emigrated for reasons unconnected with football. Both the club and the player are permanently based within 50 kilometers of a national border. The transfer occurs within either the EU or European Economic Area (EEA) where the minimum age is 16. Nonetheless, even in those cases the club must ensure the player continues his education and studies. They must also ensure that they have a high living standard. FIFA implementation of these regulations is usually meant to protect young football players. Yet, the plaintiff claims they lead to the discrimination rights of minors from third countries outside the EU. That is the basis behind the lawsuit. They claim FIFA banning international transfers of under-age players is unlawful. A statement in the legal action said the rules infringed EU law. In particular the unrestricted and free movement of students and employees. FIFA failed to respond to this point. Related Story: Why Did FIFA Ban Poppies on International Jerseys? The governing body have argued in the past that the rules go back to an agreement signed in 2001. It took place between FIFA, UEFA and the European Commission. They also claim that they have been further developed in recent years. Two of the Spanish footballing giants have already received a ban by FIFA. Atlético Madrid and Real Madrid both got banned from signing players for two transfer windows. FIFA claim they breached the rules even though the clubs deny any wrongdoing. Jean-Claude Mbvoumin set up the Culture Foot Solidaire group to fight the trafficking of minors. He is a former Cameroon international. The group claims that young African players are still brought to Europe by false agents. The former football star said some families hand over their life savings to agents. They are hoping to secure a move to a top club for their kids. Often it results in child abandonment on the streets of Europe. FIFA also faces another legal complaint at the European Commission. The world players' union FIFPro claims the current transfer regulations have led to a noticeable lack of competition in football. FIFPro is the worldwide representative organisation for all professional footballers. They represent more than 65,000 players in total including males and females. The World Players' Union has around 60 national players' associations in their membership. Articles on Sports and Games: Get all the top news headlines on sport rules and regulations. FA Rules for 2017/18: Premier League seasons kicks off with a handful of new football rules. FIFA Investigate Chelsea: Investigations relate to the recruitment and signing of youth players. Manchester City Charged: Premier League club failed to give accurate 'club whereabouts' information. UEFA Rules on Doping: Wenger is gunning for tougher rules to discourage drug cheats in soccer.